- Available Sizes: 1/8" to 1"
- Manufacturer and Exporter of Brass Female Tee. We have gained eminence in presenting Brass Male Unequal Tee which is customized based on the details of our valued patrons. These are designed using best quality raw material which is procured from our reliable vendors. Owing to ideal finish, excellent polish and sturdy construction, these are highly accepted in the market. 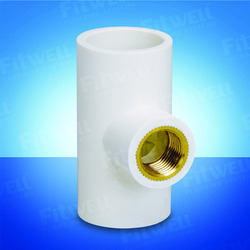 In order to retain our goodwill in this industry, we are providing a qualitative array of Brass Tee. - Approx 600 rs to 1200 rs per kilogram as per quality, size and market. 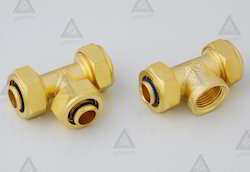 - Size: 1/2" to 2"
Our organization is counted amongst the reckoned manufacturers and suppliers of Brass Tee. These tees are manufactured by our sedulous professionals using pristine quality brass material and advanced amenities so as to ensure that these adhere to the set industry guidelines and standards. Dimension accuracyPrice Approx 400 Rs to 1000 Rs per kilogram as per quality and size.